Happy Monday everyone! Today I wanted to take a moment to cover Ponie Oasis with you all! 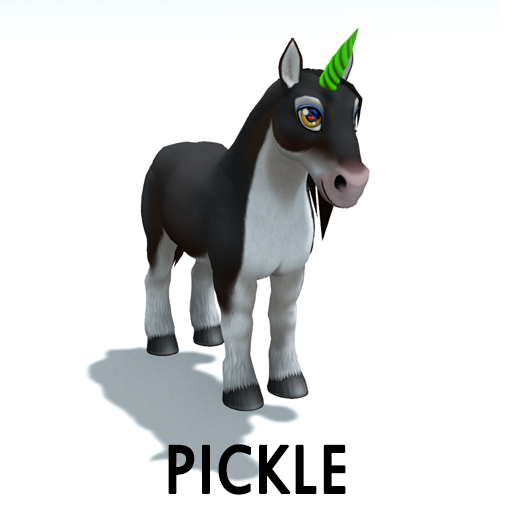 As most of you know, Amaretto Ranch Breedables offers a unique point system for ponies that you no longer wish to keep. Basically all your Ponie Pals have a point value in Ponie Oasis. You have to confirm to send a Ponie to Oasis, therefore it cannot be reversed. So make very sure this is something you really want to do. Even if it’s done by mistake it cannot be undone. So please be careful! 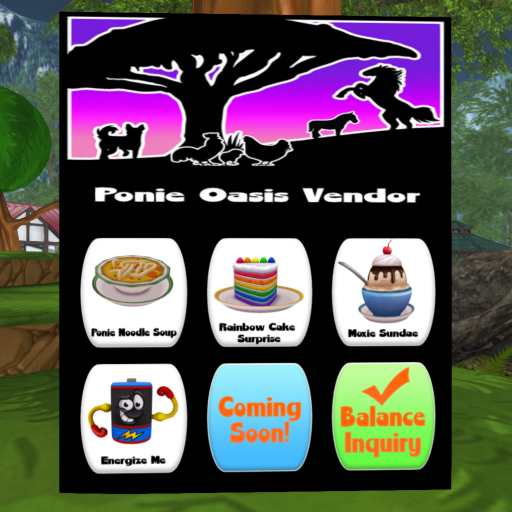 I hope this helps you all better understand the Ponie Oasis! Happy Ponie breeding! 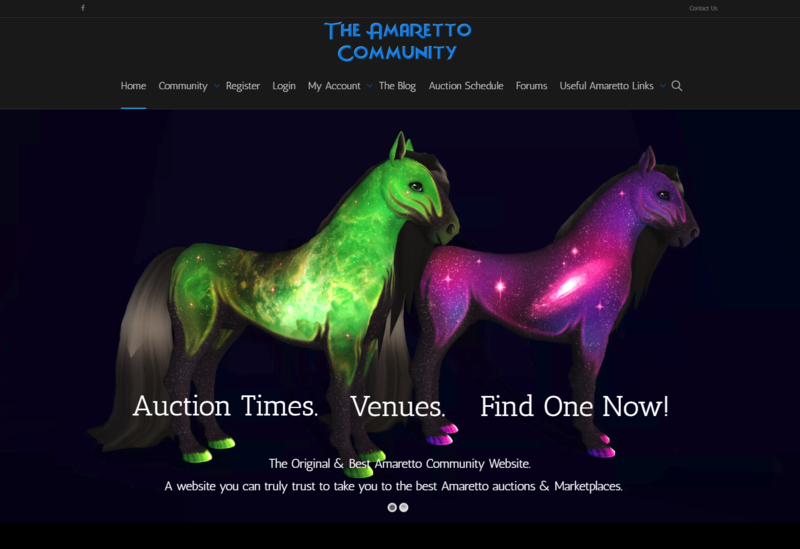 I wanted to take a look at The Amaretto Community site today which has had a re-design! The Amaretto Community website is not an official Amaretto website but it’s ran by myself and Bazza for anyone in the community to use. We redesigned the website to give users more tools for community related activities and Bazza usually tries to add any new traits that drop so people have quick access to see pictures of them. These tools include groups, a community feed (viewed here: https://www.theamarettocommunity.com/communityfeed/), and forums for you guys to post in. We also added links to all the Amaretto wiki, ticket and store location pages so you guys have super fast access to all that in 1 place! Hi everyone hope you are all having a stupendous Saturday!! Today let’s have a look at those K-9 dipped ears! 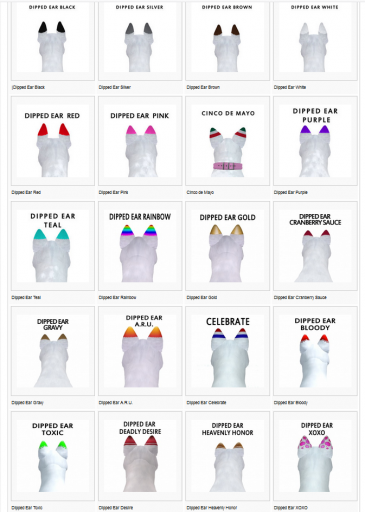 Dipped Ear is a trait that came out in version 2.0 update. 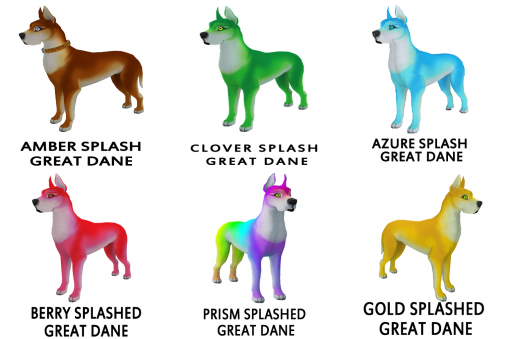 You can change the color of your K-9s ears with this trait! Dipped Ear Pink and Red was released from the 2016 Wild Love Edition K9s breeding 2 Wild Love Edition K-9s together you could get the new Dipped Ear Red or Pink!!! On April 29, 2016 until May 13, 2016 Amaretto wanted to celebrate all our Mothers, with Happy Mother’s Day 2016 Special Edition K-9s! Any breeding of these K-9s gave you a chance at the new Dipped Ear Purple or Dipped Ear Teal! On August 4th, 2016 until August 19th 2016 Amaretto celebrated Summer 2016 with 2016 Summer Edition – Hang Tens!Any breeding of these 2016 Summer Edition – Hang Ten gave you the ability to get a brand new Dipped Ear Gold or Dipped Ear. On November 24, 2016 Amaretto celebrated Thanksgiving with some random drop traits these traits included Dipped Ears Gravy and Dipped Ears Cranberry Sauce. On Jan 27,2017 Amaretto celebrated ARU Graduates with this Dipped Ear A.R.U. that can pass from any 2017 A.R.U. Graduation Edition breeding! On June 26, 2017 until July 19, 2017 Amaretto celebrated 4th of July with Celebrate Independence 2017 K-9s! You could get a new Dipped Ear Celebrate from any breeding of these Celebrate Independence 2017 K-9s! On October 18th until October 31st Amaretto celebrated Halloween 2017 with 2017 Halloween Edition Arachnia K-9s! These K-9 were hiding 2 brand new Dipped Ears! Dipped Ear Bloody and Dipped Ear Toxic! On February 14, 2018 Amaretto celebrated Valentines day with random drop Valentines traits! One of these traits was the Dipped Ear XOXO! You only had 24 hours on Valentines Day for your ponies to drop the Dipped Ear XOXO! So let’s get dipping and have some fun with our K-9’s!! Until next time this is Snookie saying have a great weekend and Happy Breeding!! Guess whats coming in June! Hey guys how is everyone? I hope everyone is having an amazing Friyay! I know we here at Amaretto have been working in full force to bring you some amazing new stuff! Everyone has been asking and you guys have been very patient to I wanted to take a moment to spill the beans! Thats right im going to announce the new monthly breedings!! Now let me just look over my notes here…………………. I am glad to announce that the new monthly breeding will be cross breeding! 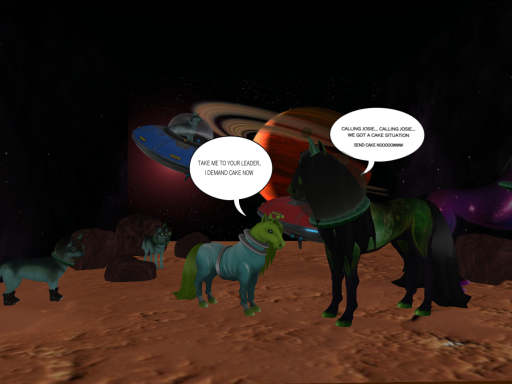 Breed your k9 to your bird or your horse to your ponie……….. oh wait thats not right! Just kidding the next set of monthly horses will be…..drum roll………..want me to spit it out already? Guess what is making a return to Amaretto?! Starting June 1st if you breed any two Rabicano together you have a chance at getting a Rabicano Showhorse! The show horses like in the past will not have the ability to pass their coats but will have the ability to pass their eye! 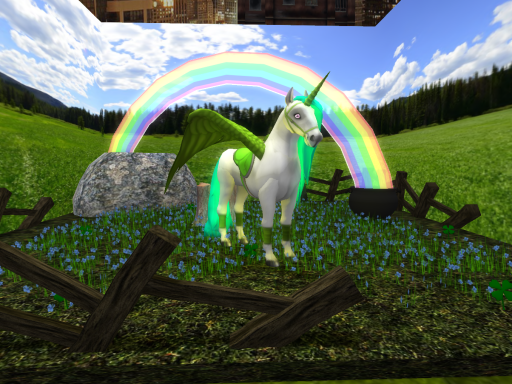 To switch it up a little for the K-9s, Birds, and Ponies we have some special pairings that will give you the chance at getting an Elemental! 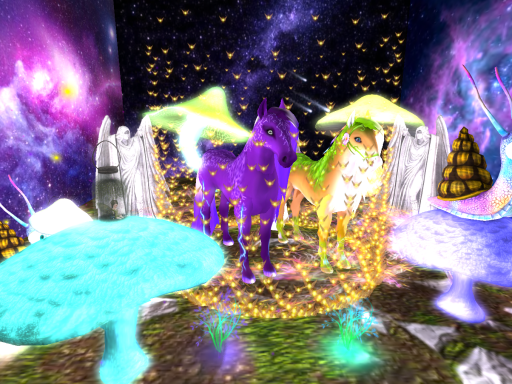 Also K-9s, Birds, and Ponies will have 2 months to breed for these special Elemental Coats! 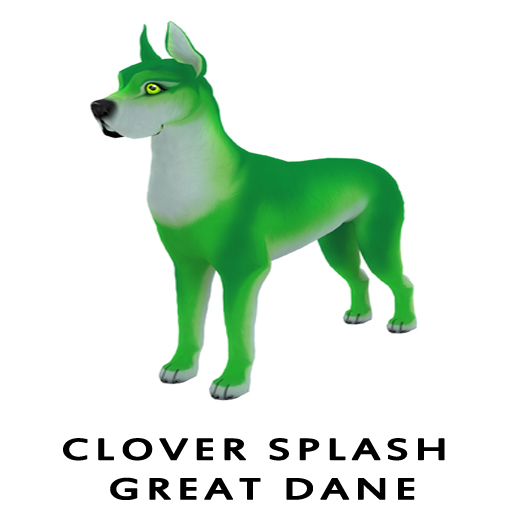 From June 1st to July 31st if you breed any Great Dane with a Clover Splashed Great Dane you will have the chance to get the first ever Earth Elemental K-9! 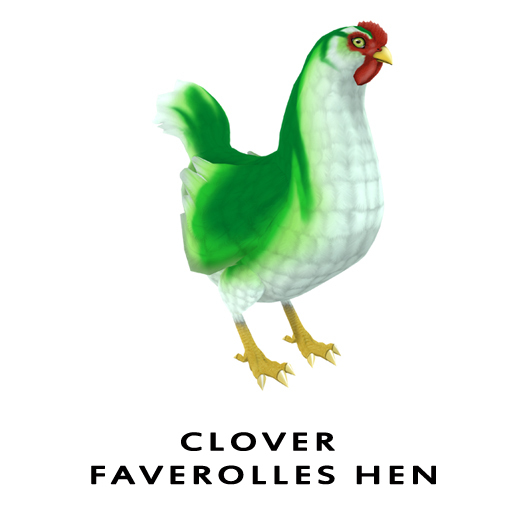 From June 1st to July 31st if you breed any Malachite Beak with a Clover Favorelles you will have the chance to get the first ever Earth Elemental Barnyard Bird!! 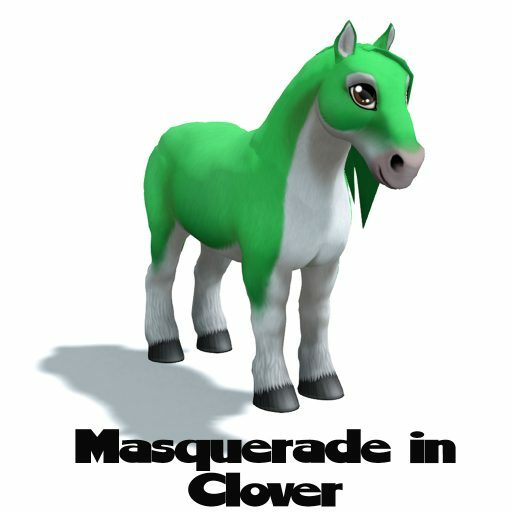 From June 1st to July 31st if you breed any ponie with a Pickle Horn to a Masquerade in Clover you will have the chance to get the first ever Earth Elemental Ponie Pal!! The Elemental Coats on all three of these animals will not have the ability to pass but their eyes will! Whew! It felt good to get that off my chest! For those of you who only read the last line of this connections special breedings for all 4 animals will start on June 1!! So you have a month to get ready and prepare!! Happy breeding everyone! Hello everyone and Happy Thursday to you all! 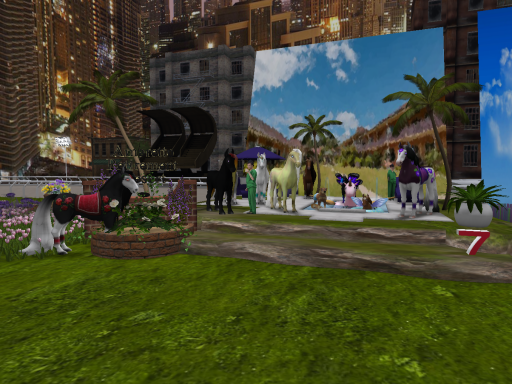 Today was the judging for the 2018 Springtime Breedables Costume Display contest! The 12 displays we had were absolutely amazing! All of the participants spent a lot of time and effort creating their displays and it is now time to announce the winners!!! In first place we have a beautiful displays displaying the beauty of Spring! This display was a team project by Jαĸe Ned Sтαrĸ (jakeandrew5212) and Sαѕѕy Cαтelyɴ Sтαrĸ (shaz.bashly)! Congratulations to you both!! And in second place we have another gorgeous display by Bεllმʂհἶʂհἶ ᵀᴹ (Bellashishi). This display is amazing and whimsical! Congrats!! And in third place we have Anaconda Carter with such a sweet display showing how Spring brings new life! Congrats to you! Congratulations to all of our winners!! Take a look below at all of the other beautiful displays! Congrats again to our winners and thank you to all who participated and voted!! As part of that celebration, here are 50 amazing and strange Astronomy facts to entertain your brain! Saturn would float if you would put it in water. If you would place a pinhead sized piece of the Sun on the Earth you would die from standing within 145 km (90 miles) from it. Space is not a complete vacuum, there are about 3 atoms per cubic meter of space. Only 5% of the universe is made up of normal matter, 25% is dark matter and 70% is dark energy. Neutron stars are so dense that a teaspoon of them would be equal to the weight of the entire Earth’s population. The Sun is 400 times larger than the Moon but is 400 times further away from Earth making them appear the same size. The star Lucy in the constellation Centaurus is a huge cosmic diamond of 10 billion trillion trillion carats. Seasons last 21 years on Uranus while each pole has 42 years of sunlight followed by 42 years of darkness. Venus,on the other hand, does not have any seasons at all. 1 year on Mercury consists of less than 2 days on Mercury. There are as many oxygen atoms in a breath as breaths of air in the atmosphere. Helium is the only substance in the universe that cannot be in solid form.It can’t be cold enough. The coldest place in the universe is on Earth. In Wolfgang Ketterles lab in Massachusetts. 0.000000000001 degrees Kelvin. The pistol star is the most luminous star known 10 million times the brightness of the Sun. Saturn’s moon Titan has liquid oceans of natural gas. All the planets are the same age: 4.544 billion years. Earths moon was most likely formed after an early planet named Theia crashed into Earth. 8000 stars are visible with naked eye from Earth. 4000 in each hemisphere, 2000 at daylight and 2000 at night. 90-99% of all normal matter in the universe is hydrogen. Only 55% of all Americans knows that the Sun is a star. Because of the speed the Sun moves at, solar eclipses can last at most 7 minutes and 58 seconds. Lunar eclipses, however, can last 1 hour and 40 minutes. All the coal, oil, gas, wood and fuel on Earth would only keep the Sun burning for few days. When the Moon is directly above your head or if you stand at the equator, you weight slightly less. A single Quasar produce the same amount of energy as 1 trillion suns. Just after the Big Bang, everything in the universe was in liquid form. A planet nicknamed “The Genesis Planet” has been found to be 12.7 billion years old making it the oldest planet found. The shape of the universe looks a lot like a brain cell. Every year, the Moon is moving away from Earth by 3.8 centimeters. The Moon spins around its axis in the same time it goes one lap around the Earth which makes us always see the same side of it. Upsilon Andromeda B also only face one side to its star. One side is hot as lava while the other one is cold below freezing. The average galaxy contains “only” 40 billion stars. While in space astronomers can get taller, but at the same time their hearts can get smaller. Mars surface is cowered with iron oxide (rust). Only half a billionth of the energy released by the Sun reaches Earth. Rogue planets are not bound by any star, brown dwarf or another planet which makes them free-float around the galaxy. Sweeps 10 is the planet with the shortest orbital period found. It orbits its star in only 10 hours. 85% of all stars in our galaxy are part of multiple-star systems. Some brown dwarfs have liquid iron rain falling down on them. The light emitting from the Sun is actually 30,000 years old. Of the over 20 million meteors that are observable every day only one or two reach the surface of Earth. The United States have approximately 3,500 astronomers, but over 15,000 astrologers. The closest black hole to Earth is only 1,600 light-years away. 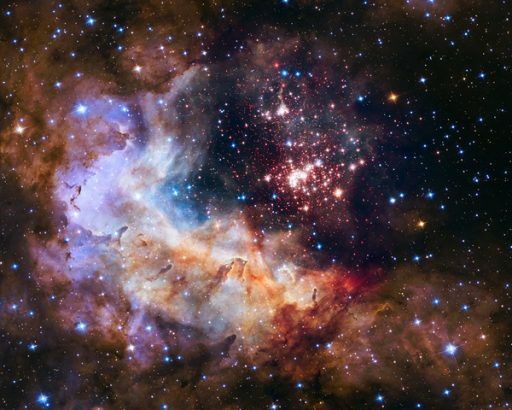 There are at least 1024 (10 to the 24th power ) stars in the universe. Certain “star quakes” have been found to tear apart the surface of neutron stars. Any free-moving liquid in outer space will form itself into a sphere due to surface tension. The odds of being killed by falling space debris is 1 in 5 billion. Neutron stars can rotate up to 500 times in 1 second. The largest structure found in the universe is the Sloan Great Wall, a super cluster of galaxies 1.37 billion light-years wide. Don’t delay, get your Astronomy Day editions today! Hey guys it’s a terrific Tuesday, I hope everyones week is going great! I wanted to take some time out to talk to you guys about something that i think maybe some breeders might not know. I am often asked is there a trick or a secret to breeding what you want? I always tell everyone there is no trick or secret but there is something I like to call smart breeding! If you been to one of my auctions before you have heard the term I use called smart breeding. Let me break it down for you just incase you don’t know what I am talking about. Smart breeding is what you do to increase your chances at getting something special. Still don’t get it? I have 5 horse breeding together 1 male horse and 4 females horses these horses are all siblings, so that means i could get an albino. These horses all have a dazzle eye so I could possibly get a Dazzle horse as well! See its a 2 chances in 1 breeding! Smart Breeding! You could even make it a triple threat for example one of these siblings is a Shetland, so now we could get a Shetland Albino, reg Albino, or a Dazzle Horse! 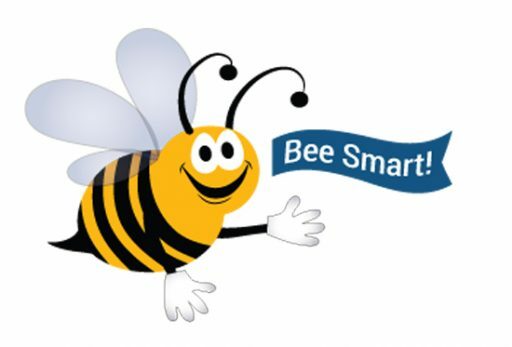 So take a look at your herd and see where you may be able to implement a smart breeding plan! This is Ava over and out! 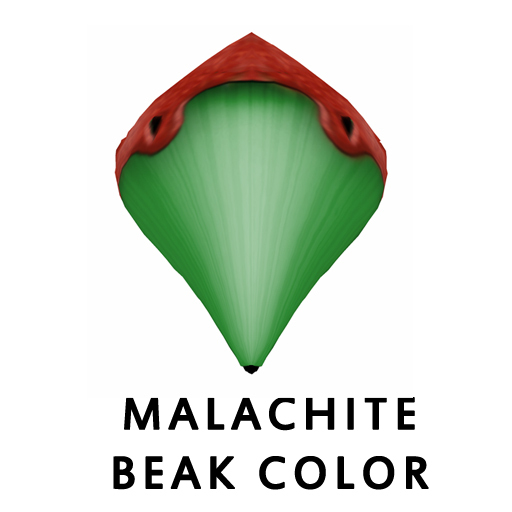 Happy breeding everyone! Happy Monday everyone! Today I wanted to take a moment to cover a Puppy Paradise for the Amaretto K-9. Do you have a k-9 or kennel that you would like to send to Puppy Paradise? It is really simple to send your k-9 to Puppy Paradise, and you receive kennel cash back that you can use to buy some really awesome stuff! Here is how you send your K-9 or kennel to Puppy Paradise. Just click on any K-9/Kennel that you own, click on settings, then on Puppy Paradise and then confirm sending your K-9/Kennel to Puppy Paradise. Before you do that though you will see the point value of that K-9/ Kennel and a little notice that once a K-9 has been sent to Puppy Paradise it cannot be reversed. You have to accept to send a K-9/Kennel to Puppy Paradise, therefore it cannot be reversed. So please make very sure this is something you really want to do. Even if it’s done by mistake it cannot be undone. So please be careful! Now that we have some cash in our pockets, Lets go and buy some of the awesome things from the Puppy Paradise vendor!! You can find the Puppy Paradise vendor at any K-9 store location. If you wish to purchase an item, all you do is click on the board and you will receive a drop down menu asking you to confirm your purchase and the point cost. Once you confirm this purchase your order will be sent to you in world!! Have a great week and Happy Breeding!! Bird Sanctuary is an awesome way to send those unwanted or unneeded Barnyard Birds off to a special place and in return you can earn Henny Pennies. Below I will show you how much Henny Pennies you can earn and ways you can use Henny Pennies for some awesome Barnyard Bird products. 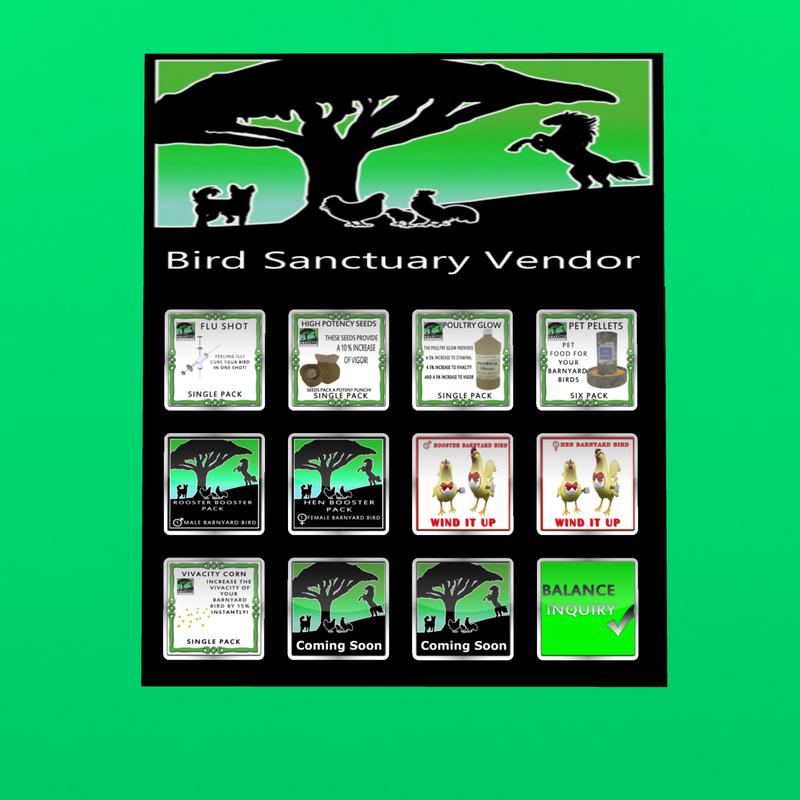 You can find a Bird Sanctuary Vendor at any Amaretto Ranch Barnyard Bird store locations. So get saving those Henny Pennies and grab yourself some awesome Barnyard Bird products. Have your K-9s make a fashion statement!! Hello all and happy Saturday!! Today let’s talk about having our K-9s make a fashion statement! 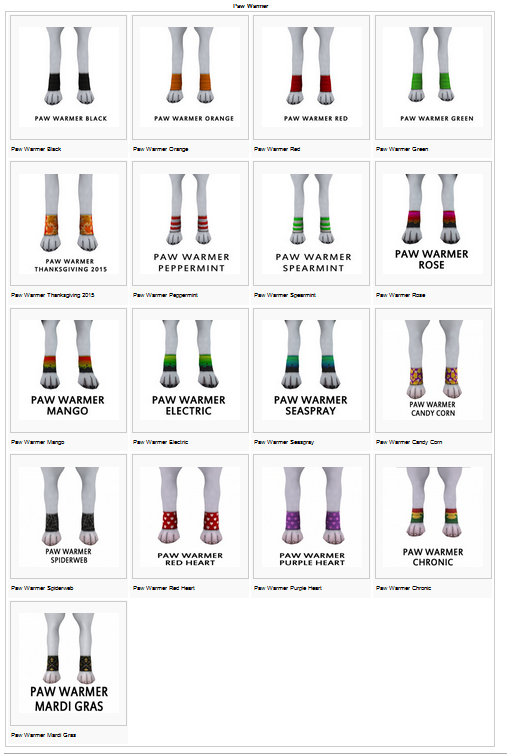 Let’s match them up with some Paw Warmers!! Paw Warmers is a trait that came out hidden in the 2015 Halloween Special Edition K-9s. So let’s get those adorable K-9’s runway ready!! Until next time this is Snookie saying have a wonderful weekend and Happy Breeding! !